You’re throwing a dinner party for six and need some pretty china to class up your table setting. 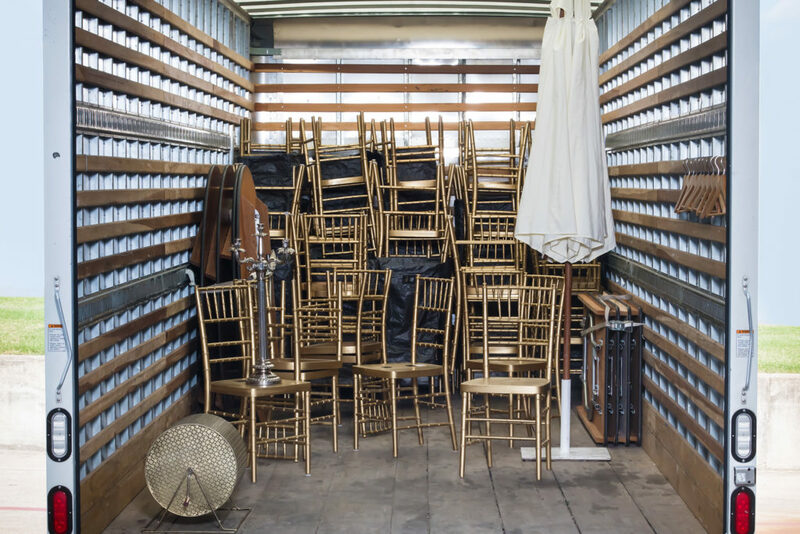 Or you’re planning a soirée for 600, and you need to rent everything. Either way, Ducky-Bob’s has you covered with its expansive rental inventory. They also deliver so you won’t have to lift a party-planning finger. The late Dr. Sandy Johnson opened this full-service animal hospital in 1988, and it has since expanded into six practices, including offices in Rowlett and Richardson. Hillside is open 24/7 and provides regular checkups, emergency services, and anything else your pet might need. Southern Botanical’s roots are in the landscaping crew that president and CEO Jason Craven ran in high school. And though the company has grown enough in two decades to branch out to Houston, it still operates much like the small business Craven started, with an attention to detail that makes it the industry standard for both residential and commercial clients. Our anxious Shih Tzu’s luscious locks often tangle in knots. But at this doggy spa and groomer, our pup’s hair always turns out cute, and he stays calm courtesy of the spa’s music therapy, aromatherapy, and massage calming mechanisms. They also offer “playcare” services. Readers’ Pick: Pappy’s Pet Lodge provides spa treatments that include a bow tie or bandanna. JD’s can simply remove fallen trees from your property, if that’s all you want. The Oak Cliff-based company is great at that. But here’s the best part: it will also mill those trees into firewood, dining tables, coffee tables, counter tops, mantles, cutting boards, headboards, and other furniture. Readers’ Pick: Southern Botanical’s experts can identify hazardous trees in your area. Don’t go looking for luxury; Sole Therapy is in a strip center next to a Tom Thumb. But you will walk away with the best no-nonsense massage you can find in the area. For only $35 for the hour-long basic treatment, it is also easier to stay relaxed long after it’s over. Readers’ Pick: Hiatus Nail + Spa has various massage treatments, including one to balance your chakras. Pooch Patio lets your dog bond with others during free-play hours and relax in a sizable kennel after. Board for $40 a night or book the Lounge Hound Suite for $65. You can also schedule a bath or add a toy to your package. Readers’ Pick: In addition to its grooming services, Pappy’s Pet Lodge has cameras so you can creepily watch your mutts online. With specialties like the Fire & Ice stone massage and micro-puncture facial—as well as a full complement of scrubs, manicures and pedicures, and other indulgent treatments—The Spa at The Joule offers the high-class experience you would expect from the swanky hotel. Readers’ Pick: Founder Clive Lamb’s eye for modern and contemporary architecture is showcased in the design of Clive & Co.’s building near the Galleria. You probably immediately think of one thing when you hear the name. But don’t let this salon’s pink walls and bejeweled reception area fool you. Its skilled technicians use high-quality soft Italian cream wax, which is great for sensitive skin from eyebrows to arms. And, okay, yes, they also do full Brazilians. Readers’ Pick: If you have anything unwanted on your body, Laura the Brow Queen will banish it. We wanted to lose some baby weight, but we didn’t have much extra time (or willpower, for that matter). We turned to this regimen that only requires you to lift weights 40 minutes a week, eat chef-prepared meals, and drink water. We lost the weight in six weeks without losing a minute of our time. Readers’ Pick: Camp Gladiator’s group fitness experience creates its own support group. There is no pretension at this popular Uptown hair salon. The stylists keep the atmosphere upbeat and relaxed. More important, Dear Clark, (yes, with a comma) executes everything from straightforward trims to elaborate dye jobs with precision and also offers its own custom line of natural hair products to keep your ’do fresh. Readers’ Pick: Clive Lamb got his start training stylists in London before opening Clive & Co. in Dallas in the late ’90s. The three Dallas locations provide fast and friendly service without hitting your wallet too hard. Their Vintage Wash only costs $12 and includes an interior vacuum. And they usually have monthly specials on their website for deluxe packages. Readers’ Pick: Vintage Car Wash was also the readers’ pick in 2012. MiniLuxe understands that getting your nails done is a luxury, so it transforms this activity into a truly extravagant occasion. With a bright, open space and complimentary Champagne, you’ll feel like royalty even before your nails look the part. It also offers a TeenyLuxe mani/pedi for a special day with your little one, or a Preggi Pedi for soon-to-be mothers. Readers’ Pick: Those in the know head to Hiatus Nail + Spa for “The Retreat” mani/pedi combo. Trendy yoga spots have come and gone, but Dallas Yoga Center has been the city’s steady vriksasana since 1989. Knowledgeable instructors and extensive class offerings will take your yoga game to the next level—and leave your mind and body nourished. Readers’ Pick: Not only does We Yogis have programs geared toward the kiddos in your life, they also offer plenty of classes for beginners to master yogis. It really is yoga for all. 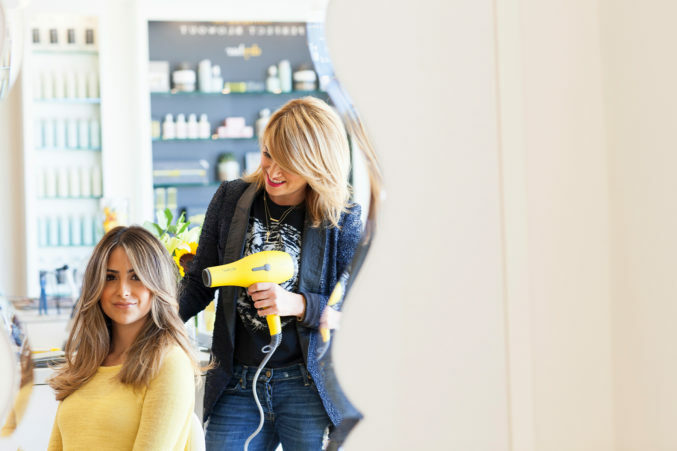 You’ll leave Drybar’s summery environs with voluminous body that lasts not only for the occasion but also for the day after. And, heads up: the stylists can work off the menu if you have a specific look in mind. 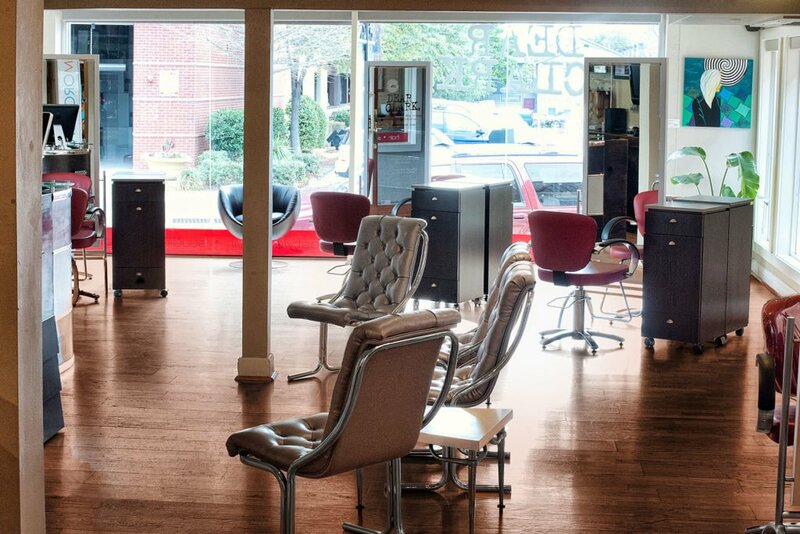 Readers’ Pick: Prices at Clive & Co. start as low as $40 for a blow dry and $45 for a haircut. This family-owned shoe restoration shop has been perking up sad soles since 1945. One trip to this unassuming Preston Royal storefront is like Cocoon for old leather shoes. Readers’ Pick: Dallas might not be the most walkable of cities, but Deno’s of Highland Park’s restoration and repair skills will make you want to hoof it. Thirty years ago, best friends Shelley Barsotti Hudson and Andrea Hagar turned their shared passion for creative, fresh, and beautifully presented food into a successful catering business. Their sense of style remains impeccable. If you require unique food served in your home or business, this is the standard. Readers’ Pick: Two Sisters Catering and their specialists will custom-design a menu to match any occasion. The Spa at Nordstrom’s St. Tropez tanner is incredibly natural-looking (you don’t have to worry about turning Donald Trump orange) and lasts up to a week. With drying options ranging from two-hour wear to an all-day glow, this is the place to be if you want a quick touch-up without soaking up the sun. Readers’ Pick: Simply Glowing, an all-natural airbrush tanning service, uses the purest form of dihydroxyacetone (or DHA) in its products, if you’re a label reader. Jamie Gerard of The Write Invite turns out stationery and high-concept invitations for some of the city’s biggest names, but a word of warning before you hire her. Gerard’s one-of-a-kind productions elicit a high RSVP return, so you’ll want to bump up that bar budget. And don’t go searching for a storefront. She operates by appointment only from the comforts of her Preston Hollow home. Readers’ Pick: Self-described color enthusiast Lauren Podbury, the owner of Wild Almond Blue Stationery, makes custom invitations and stationery for any occasion. Irina Zhuravsky has been hemming designer jeans and remaking ball gowns from the back of Lovers Lane boutique Elements for the past seven years. With more tricks up her sleeves than straight pins, there’s nary a garment dilemma the sassy Russian seamstress can’t solve. She’s like family to the regulars who text her when they’re in an alterations pinch. Readers’ Pick: Unique Tailor is the go-to when you need an inexpensive and quick fix to your favorite pair of jeans. Pristinely shaped eyebrows wield power and prestige (just look at Cara Delevingne), a concept iBollywood Stylz doesn’t take lightly. Tucked modestly into a strip mall on Lemmon Avenue next to a doughnut shop, iBollywood specializes in threading, an Indian technique that uses twisted threads to remove hair from the root in a clean line for optimal brow shaping. Readers’ Pick: Laura the Brow Queen’s name is not just clever advertising. For those who want to say, “I woke up like this,” there are eyelash extensions. For those who want people to believe them, there’s Amazing Lash. The Dallas-based studio fulfills your wildest Beyoncé aspirations but keeps things looking natural and (of course) flawless. Readers’ Pick: Eyelash perms are a semi-permanent solution for shorter natural lashes, and Laura the Brow Queen can also do that. Backed by a growing demand from her Dallas clientele, the famed aesthetician (known for her work with Cate Blanchett and Kate Winslet, among many others) finally opened a skin-care spa in Victory Park last October. At her intricately designed space, you can also purchase products from her curated Czechlist. Readers’ Pick: Laura the Brow Queen does more than just brows and eyelashes.